RDA’s first certified Passivhaus. This is in a South London Mews at the back of a Grade II listed building. The building used to be a coach house. The aesthetic was to design a house with a slightly industrial feel. The house itself is built with SIPs panels and uses a brick slip cladding system. The client’s requested that this house be Passivhaus certified. 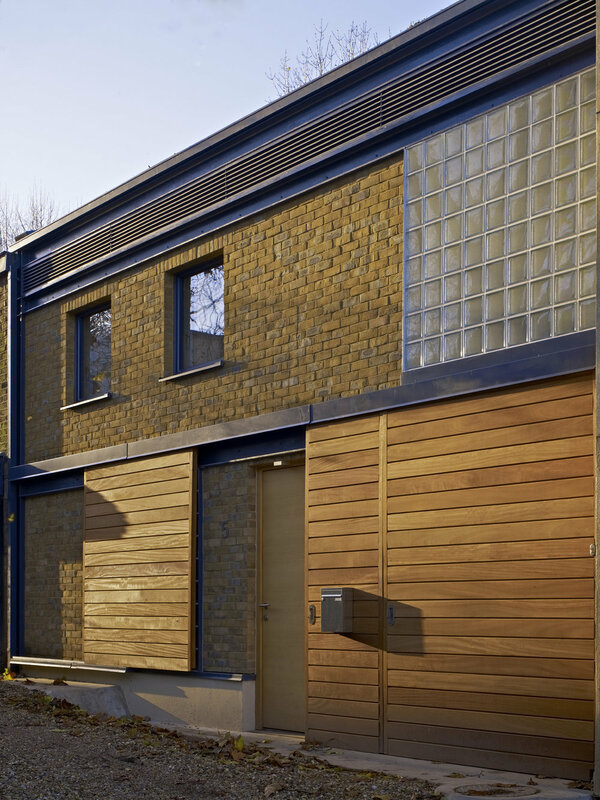 The house was highly commended at the 2014 Greenbuild Awards and was shortlisted for the 2014 UK Passivhaus awards. The project is currently being monitored by Dr. Henrik Schoenefeldt and a team from the University of Kent. The occupiers are very satisfied with the building's performance which keeps energy bills to a minimum.